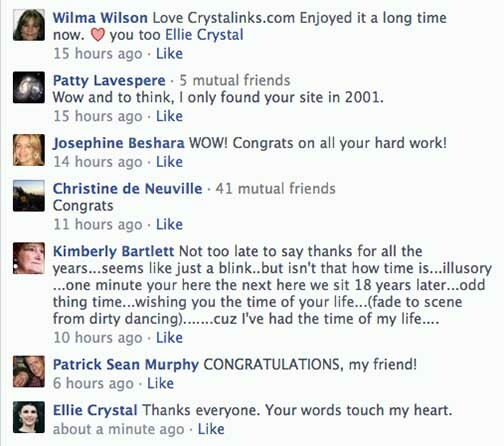 Crystalinks has come a long way since 1995 in terms of quality, content and ease of presentation. It has developed into a compendium of thousands of integrated files and images for greater understanding - a portal readers can return to find answers within the parameters of healing and evolving consciousness. A transformation is occurring on all levels, coinciding with the Age of Science and Technology, which guides us along the way. Crystalinks remains a Work in Progress to that end, as does your journey here. We've had amazing adventures through these pages, the best, yet to come. When I look back over the past 18 years, which is 2 cycles in numerology, so much has changed. Crystalinks started with 50+ files, its location (server) for the first year being www.interport.net/crystalinks.html. Though I had met thousands of people through my media work before the internet and Crystalinks, nothing was to prepare me for the great adventure that was about to unfold, and the amazing relationships that would develop along the way. It's still exciting waking up each morning and wondering where in the world my next significant email will come from and where it will take me that day. 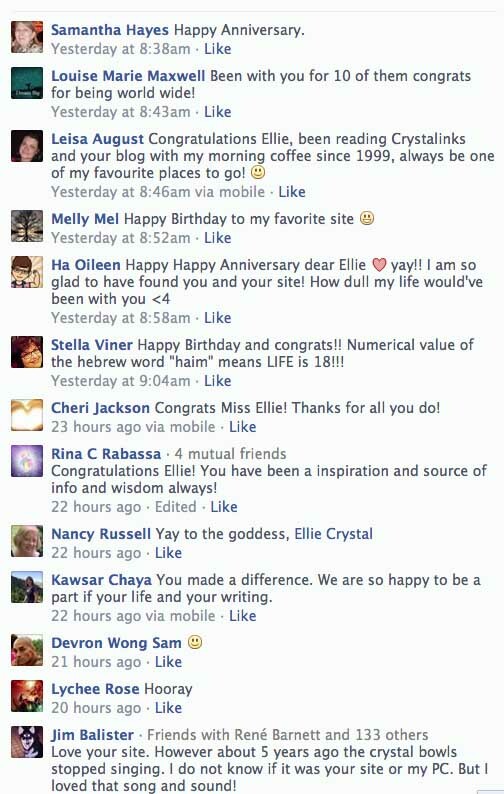 Each week presents patterns in my life linked with readers, clients, and reality itself. There has always been something to blog every morning, even as phones ring, emails come in, and other "outside forces" distract from my focus. Metaphysics today has moved from the paranormal where one explores the unexplained, to healing and energy where lost and wounded souls can work on themselves. It's about the "transition moment" set into place in each of our timelines, when our consciousness suddenly awakens and we seek answers beyond. From a "death" to a dream to anything else we are programmed to experience, when that moment arrives, we are forever changed. And then one day, after endless roads taken, a truth comes into your consciousness - something understood as far back as early humans - time and reality are an illusion. It has always been about our ability to understand the facets of time and how they relate to reality. You are not the same person you were in linear 1995, 2001, 2012, or even yesterday. Your consciousness experiences are evolving ... for in fact ... you are not even here. Since the beginning of the year, many of us have realized the events in our reality are being altered by something greater than what we comprehend. 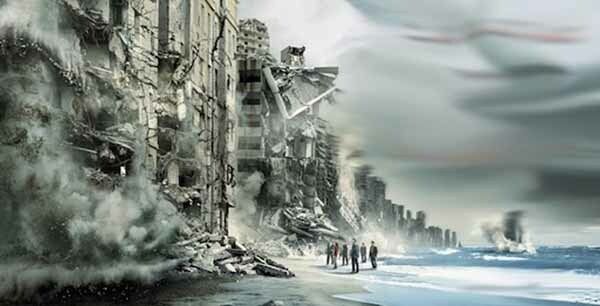 Does it have to do with something the Mayans foresaw at the end of their cycle on December 21, 2012, or something else? At first it seemed like it was a new physical experience for 2012, but more and more people have come to realize that these shifts are happening on a daily basis. You watch someone's behavior and think, that is not what they would normally do. One must assume that these changes have always been part of the human matrix design - consciousness preparing us to move beyond myth, math, metaphors, synchronicities, creation, and the illusion of time itself. 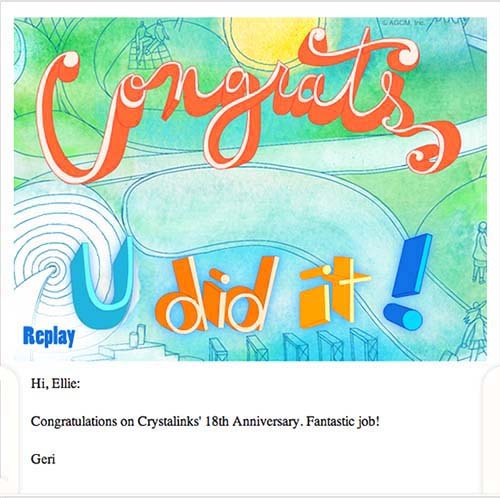 Today I realized that Crystalinks will be 18 years old on Sunday. Usually I focus on the many years since its creation, but this year, in this reality, I forgot the date until I saw it on my Ezine calendar. Calendars ... do they seem like an antiquated measure of time to you? We plan our lives around them in physical reality, and tear off the pages as the months dissolve into consciousness. What are we to conclude? I'm not one to over-think things, so all I can say is, "Time will tell." Most of you read about Terance McKenna's Novelty Theory while researching December 21, 2012. The date was wrong, as time is an illusion so dates do not apply. But maybe there is something to what McKenna saw that resulted in the consciousness changes since the beginning of 2013. McKenna said his information came from aliens he called Logos (Knowledge). We know that channeling comes from the grids, messages given under different personas, but all from the same source. My friend Gordon-Michael Scallion channels a group called the Matrix, which are the consciousness grids. Stoned or straight, was McKenna on track with something he didn't understand? I call it Zero Point, a convergence at the end of time before all fades to black. Is this what's occurring in our current experience? Terence McKenna (November 16, 1946 - April 3, 2000) was an American psychonaut, lecturer, and writer. He was noted for the use of psychedelics, and subjects ranging from shamanism, language, metaphysics, historical and civilizational timelines, the theoretical origins of human consciousness, and Novelty Theory or Timewave Zero. According to McKenna, the universe has a teleological attractor at the end of time that increases interconnectedness, which would eventually reach a singularity of infinite complexity, at which point anything and everything imaginable would occur simultaneously. Why did I blog about Terrence McKenna? Terrance visited while I was wring this blog and told me to review his work. Though I never do drugs, his vision about the future was interesting and in some "novel" way coincides with the theme behind Crystalinks ... Reality is a consciousness hologram in which souls come here to experience emotions. He spoke about Timewave Zero. I call it Zero Point when time and space cease to exist. Sunday I blogged about a visit from Terrance McKenna known for his use of hallucinogens and Novelty Theory (Timewave Zero). Monday afternoon, Ron called on his way to Newark Airport for a week long conference in Silicone Valley. The last time Ron attended a conference there was 9 years ago where he spent some of his spare time listening to a series of tapes from .... Terrance McKenna. Ron had been really surprised when I mentioned McKenna in my Sunday blog. In physical reality, synchronicities have merit and are easily created to make a point for the experiencers. McKenna's vision about the future was interesting and in some "novel" way coincides with the theme behind Crystalinks ... "Reality is a consciousness hologram in which souls come here to experience emotions." McKenna spoke about Timewave Zero. I call it Zero Point when time and space cease to exist. As Ron and I talked, the movie Inception came to mind. In the film ... elapsed time in each of 3 dream levels is roughly twenty times greater than in the level above it. In the deepest level of all (3rd level), the planned ten hours of outer-world time would be experienced as almost two centuries. In other words, the lower consciousness descends into the physical, the slower the movement of time and frequency. 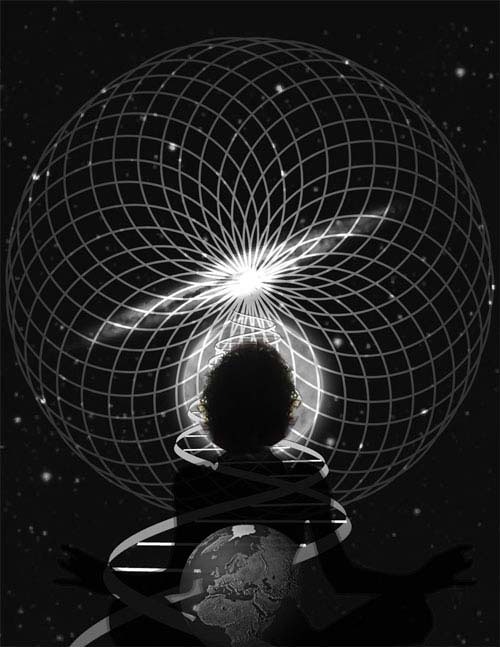 In the spirals of time, we experience here in 3D consciousness or third dimension ... the lowest and the slowest. Taking this to McKenna and hallucinogens, Shaman travel to the Spirit World. In the film, the dream was called the outer-world. It is all about altered states of consciousness and focused perception believed to be reality. I believe the message from McKenna was, we hit zero point on December 21, 2012 in the higher levels of reality. They have already closed and are rapidly spiraling downward to this level as they implode into each other. It would explain why I always get the message that the program has already ended. McKenna wanted me to know that ... as is above, so will be below. Wait for it.